Well after my last couple of posts, this one returns to wines and wineries I enjoyed on my last trip to Israel and Europe. The next winery was Tabor winery and many thanks to Justin for meeting with us and sharing his knowledge and wines. My last post on Tabor winery was earlier last year, though I have been posting about the white wines and rose wines throughout the summer. The winery’s tasting room has undergone a radical renovation and I really like what they have done with it! The labels have also undergone a continuous facelift, over the past few years, and I think these are here to stay – as they are now. The special wines – which they called Adama II in the past has been renamed the Premium line. There are two new wines, the Tannat and Marselan, and they are under a new line, the Single Vineyard line. We also have once again changed the flagship wine’s name! It started with Mescha, then it was changed to 1/10000 or whatever the bottle count was that year. Then it was renamed Limited Edition, and now it has been changed to Malkiya. I really hope this will be the last name change – we can only hope! 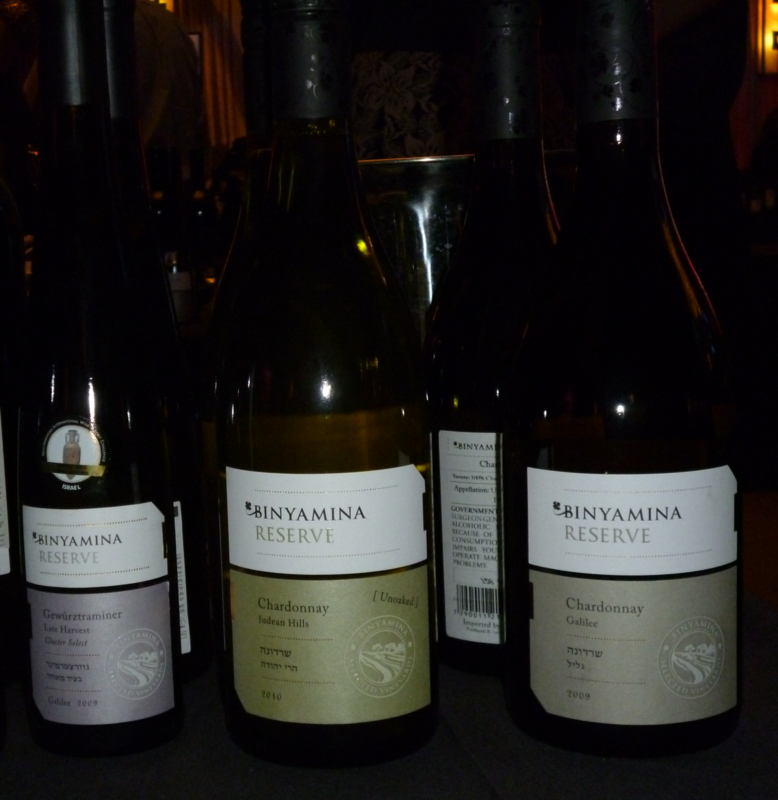 Sadly, I missed out tasting the Tabor Roussanne, Adama, which was a shame as the wine I hear is very nice, and there are very few Roussanne available in the kosher market, other than Covenant Winery’s Mensch, Hagafen Winery’s Don Ernesto, and Netofa Winery’s new Roussanne wine (more on that soon). This wine is more fun, in some ways than the 2014 vintage. It is more steely, leaner, with far drier and less tropical fruit. This is a lovely wine showing a very earthy side, with flint, rich fruit, petrol, crazy dry peach, with a soap/lavender aroma. The mouth is rich, layered, funky, richer than the 14, rich and yet really bright and showing great pith with great lovely acid, followed by bright summer fruits, no tropical fruit, with lovely Meyer lemon, orange and tangerine pith, and citrus galore. Really nice, floral and funky. Bravo! This past weekend we enjoyed a few great wines, including another wine from the Herzog Winery! The set of wines included another tasting of the 2010 Vignobles David Reserve, which is tasting lovely – but starting to show signs that it is coming around. The tannins are still very mouth drying and draping, and really need a fair amount of time to integrate. The next wine was the newly released 2011 Herzog Chardonnay Prince Vineyard, a new single vineyard Chardonnay from their newly acquired Prince Vineyard, the first vineyard that the Herzog winery bought. Finally, we had a hand carried bottle from Israel that shocked me in a good way. When I recently tasted the newly released 2010 Carmel Cabernet Sauvignon, Single Vineyard, Sumaka Vineyard at the KFWE in Miami this past month, I was far from impressed. However, I had just come back from Israel and I was carrying with me a bottle of the very same wine. When I came home I opened the bottle, that I bought in Jerusalem, and was shocked by how VASTLY different the two wines were. Taste them blind side by side and you too would be really shocked. The US version is really not that great, B to B+ wine at the best. The very same wine, with an Israeli label, was rich and layered, but controlled, and lacked the over the top cooked and ripe fruit. This is not a one time thing, when I returned to Israel and I tasted the 2009 wines from Carmel, I was once again shocked to find that I loved them. A very vast difference from when I tasted them with an US label. Whatever the issue is, it really needs to be fixed. This wine blend is composed of 40% Syrah, and 60% Grenache, also known by the folks in the know, as GS, an acronym stemming from the first letter of the 2 varietals used in this blend. When I opened this lately, the wine needed a few hours of air to truly open and show its potential. Please open and have patience to allow it to show its true joy. This bright purple colored wine steps up and slaps you across the head with a crazy rich and heady nose of blackcurrant, bramble, rich oak, roasted meat, freshly brewed espresso, spice, raspberry, blackberry, and tar. This wine shows a super rich, full-bodied, yet bright mouth with an insane mouth draping and coating tannin, rich extraction, along with focused concentration of fruit, all coming together into a truly earthy, fruity, meaty mouth. The finish is richly spiced with layers of more coating tannin, soft leather, tar, black fruit, rich minerality, espresso and oak, with a hint of date on the background. Quite a lovely wine that is not another big and black Syrah, rather this is a lovely balanced GS that shows its richly spiced and terroir driven roots in more ways than one. This is a mevushal Chardonnay from the newly acquired Prince Vineyard in California Clarksburg ACA. The noise on this light gold colored wine is rich and ripe with honeyed notes, toasty oak, spice, and vanilla. The mouth on this medium bodied wine is viscous and lovely with good sweet fruit, apricot, guava, baked apple pie, along with layers of butterscotch, creme brulee, and hints of oak tannin. The finish is medium long and missing a bit of an acid bite, spicy with good bakers spices, white tea, and good mineral background, slate and lemon peel. I must be very clear here – this is the 2010 Carmel Cabernet, Sumaka Vineyard, from Israel, not what is sold here in the US. I make that clear, as the wine sold here, with the US label, is not very good, overly ripe and clearly changed by the transport process from Israel to the US. I shipped/transported this bottle by hand from Israel to my home and then enjoyed it. This wine is a single vineyard wine, just like the 2009 Kayoumi Cabernet was a single vineyard wine. This wine replaces that wine while the Kayoumi vineyard single vineyard wine. The nose on this black colored wine starts off with a lovely and deeply mineral rooted nose, with blackberry, cassis, plum, earthy notes, and blackcurrant. The mouth on this medium to full bodied wine is layered with good fruit concentration, that is a bit uniform, with good extraction, along with good sweet tannin, and lovely spicy oak. The finish is long and spicy with black fruit, chocolate, leafy tobacco, and more great graphite/charcoal lingering long with cloves, spice, and a nice sweet note background. This goes to prove that there is a serious issue at play here. 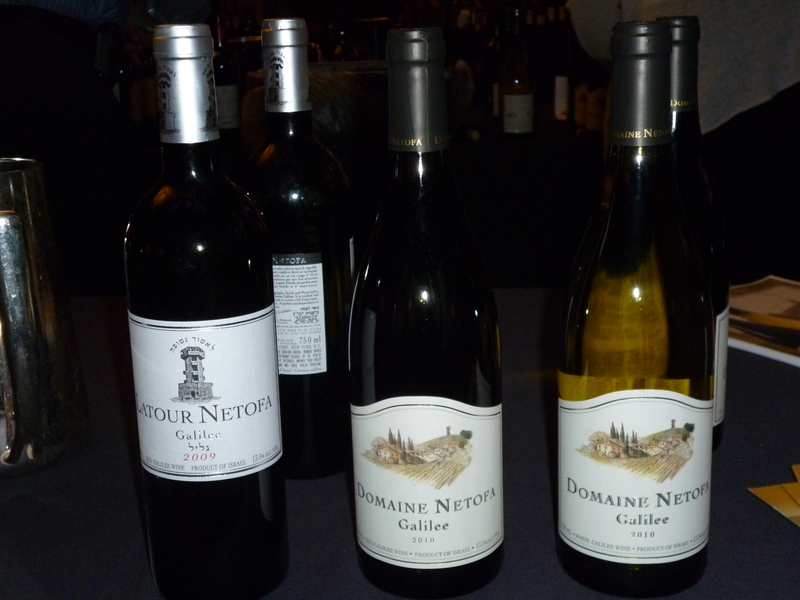 I tasted some 4 wines in Israel that I have had a few times here in the states. The wines in Israel tasted some 4 years younger and more enjoyable than their US counterparts – keep an eye out, and I will be documenting which label/locale the wine came from going forward. This past weekend we enjoyed kosher wine from Israel called Psagot Shiraz. I have posted often about Psagot Winery, and this wine was in one of my previous posts. The wine was fine, but it showed a bit too much raisin for my tastes. I would think this wine is now very close to if not already in drink-now stage. The nose on this purple to black colored wine is super rich and extracted with light raisin, plum, blackberry, cassis, rich espresso coffee, tar, pencil, loamy dirt and bramble. The mouth on this full bodied wine is rich, layered, concentrated, extracted, and inky, with lovely blueberry, cherry, date, nice acid, searing tannin, and sweet cedar that make for a lovely mouthful. The finish is long and super spicy, with chocolate, tar, light animal notes, cloves, black pepper, and more great spice. Recently, there was a tasting of kosher wines at our synagogue and one of the prize wines poured at the tasting was the 2006 Yarden Odem Merlot. The funny thing about this Merlot was that it was available in the general market last year for some 20 or so dollars from stores on the east coast. However, within a week or less, the wine sold out, only to reappear as few months later for 50 dollars a bottle. OUCH! Well, good news – procrastinators rejoice, good things really do come to those who wait! The price has returned to 28 or so dollars a bottle and it is one that is well worth hunting down. The bottle is one of the more recent single vineyard Merlot to come to the states. This bottle is already old news in Israel. However, here in the states the wine is still not selling out and hence, the obvious conundrum that Yarden faces. If the wine cannot sell because there is not enough demand at 50 dollars maybe they can repeat their earlier success and hope that lightning strikes twice. The funny thing is that the retailers that bought the bottles at the old higher price are now stuck with them and are being undercut savagely by the retailers that just recently picked them up. This was the first Merlot release from Yarden’s Organically tended Odem Vineyard. 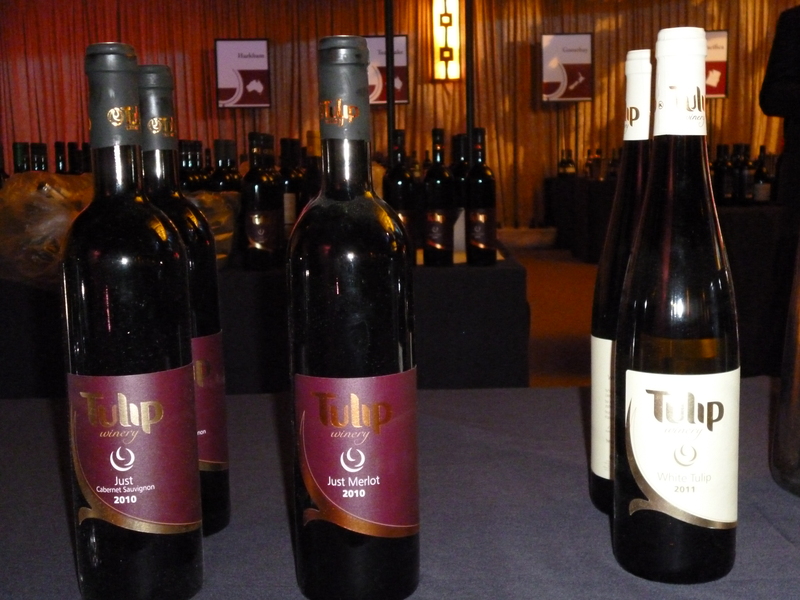 However, there are already 6 or more single vineyard wines ready and available for sale in Israel – and they have yet to sell through the 2006 vintage! OUCH! Talk about inventory! Clearly there is a need for Yarden to sell their wines and they are fine wines as well, but the kosher market is growing and may well be leaving Yarden behind, when it comes to these high-priced wines. This past weekend my friends and family shared some lovely Cabernet Sauvignon and some great food. When you talk about Cabernet Sauvignon inevitably there are folks who love it and some who hate it. It is the grand-daddy of the noble grapes, it is the wine that has the history and stuffing to last and cellar for many years. Cabernet will always be the classic and default red grape that most wine drinker will reach for. Why? Because it is well know and consistent. I state this because if you buy a Cabernet Sauvignon from Hagafen Winery, Herzog Cellars, or many Israeli wineries, you may find ones you love and some you hate, but they are similar in nature. They are either green with classic graphite and green notes, or maybe they are black and red with other classic flavors, but they are not going to be massive failures or unfortunate wines. Since the start of kosher wines, all the wineries have started with the noble grapes; Chardonnay, Sauvignon Blanc, Cabernet Sauvignon, Merlot, and Pinot Noir. Some have done better with them and some have done a so-so job. Hagafen excels with their Cabernet Sauvignon that are sourced from the Napa Valley. Herzog, has been doing a really lovely job with their Single Vineyard Cabernet Sauvignon. 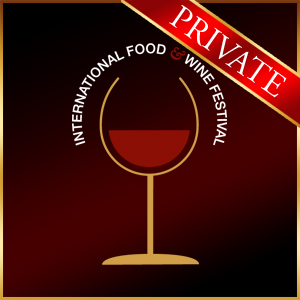 Israel, of course has been doing a lovely job with their Cabernet Sauvignon, especially by Yarden Winery, Bravdo Winery, Recanati Winery, Castel Winery, and others. However, recently two wineries have been selling Cabernet Sauvignon as well. Four Gates Winery first released a 2005 Napa Cabernet Sauvignon, a few years ago and it sold out quickly. Since then Four Gates has once again released a Cabernet Sauvignon, but this time from the Betchart Vineyard on Monte Bello Ridge in the Santa Cruz Mountains. Another and even more Cabernet focused winery – is Covenant Winery, which makes killer Napa Cabernet. They started with the 2003 vintage and has been releasing Cabernet in two or three different formats since then. To celebrate the end of Passover, we had friends join us for two of the four meals on the last days. We spent the entire Sunday cooking, and while it was crazy work, it was a ton of fun. We had a TON of help from our friends who were spending Passover with us, so MANY thanks to them!! As one peers into the inky black colored depths of this wine with purple halos you are immediately met with waves of tobacco, tar, licorice, black pepper, oak, espresso coffee, roasted meat, blackberry, cassis, plum, and herb. The mouth on this full bodied wine is rich, lovely, and concentrated with blackberry, cassis, roasted meat, plum, lovely integrated tannin, and herb. The mid palate flows off the mouth with balanced acid, oak, lovely tannin, tobacco, and tar. The finish is super long with nice tannin, oak, black fruit, black pepper, dirt, herb, and licorice. This wine continues to impress and is keeping strong to my previous notes. The first thing that hits you when you open this bottle of wine and peer into its purple-black stare is the ripe blueberry notes that come screaming out at you, along with blackberry, cassis, plum, tobacco, chocolate, tar, and rick oak. The mouth on this full bodied, mouth filling, concentrated, and inky structured wine comes at you in layers with fruit that follows the nose, ripe blackberry, plum, cherry, blueberry, inky black tar, and oak. The mid palate is balanced with acid, oak, tobacco, and chocolate. The finish is super long, black, and spicy, with rich oak, chocolate, tobacco, tar, and blackberry. This is a truly wonderful wine that is highly structured with lovely tannins and a wine that still has a few years left under its belt. The nose is killer with the lovely ripe blueberry and blackberry, along with the oak, tar, and chocolate. It follows through with the mouth till its tantalizing finish. Quite a powerful wine that still has its sea legs beneath it and one that has a bright horizon ahead of it.